and with the op-amp driver. 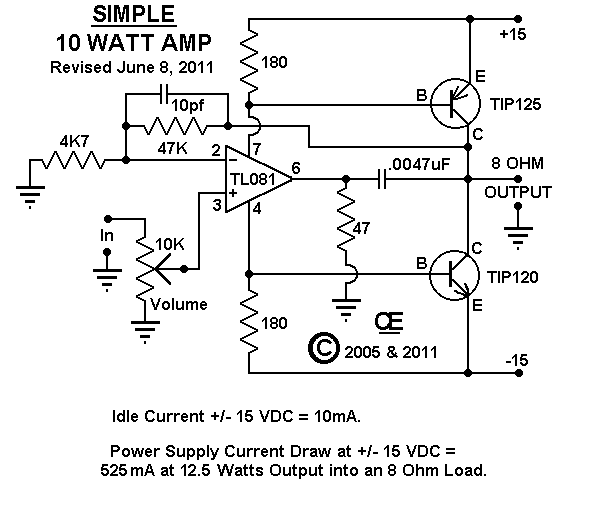 Idle Current at zero Volume was aproximately 10 mA. Current Draw at Full power of 12.5 watts was about 525 mA. I Used a TL081, but Most other Dual Supply op-amps could be used. 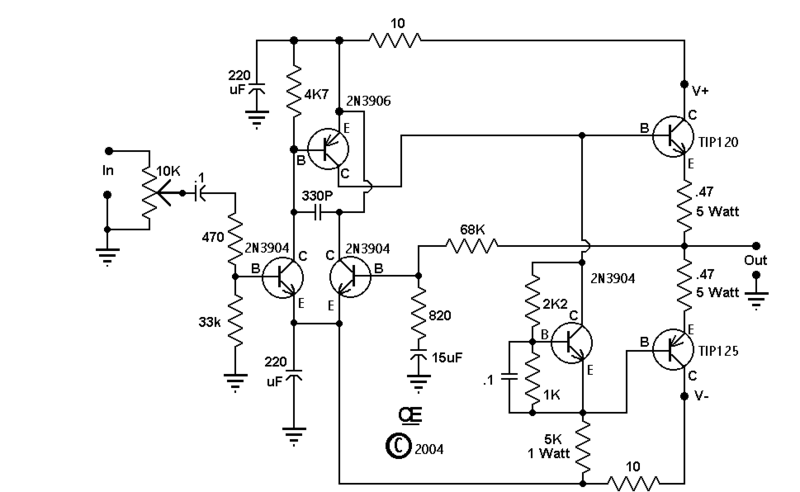 Supply Voltages and Output Power is Limited by the Op-amp. suitable power supply for it, You will Increase the output Power. Power, Increased to 25.2 Watts. Also, the Supply Current at full power was now 800 mA. Another Power amp, also quite simple and using all Transistors. This one can operate with +/- 30 volt supply, Rated at 2 Amps. It will than put out about 35 watts into an 8 ohm load. HEAT SINKS, PLUS Ventulation for Good Cooling. "Back to My Projects Page." 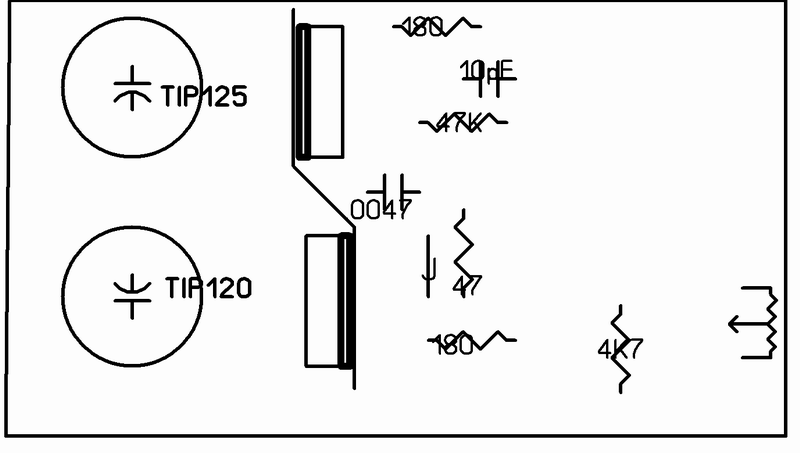 Amplifier Schematic, with TL081 driver Amp. The PCB for this TL081 Amp. 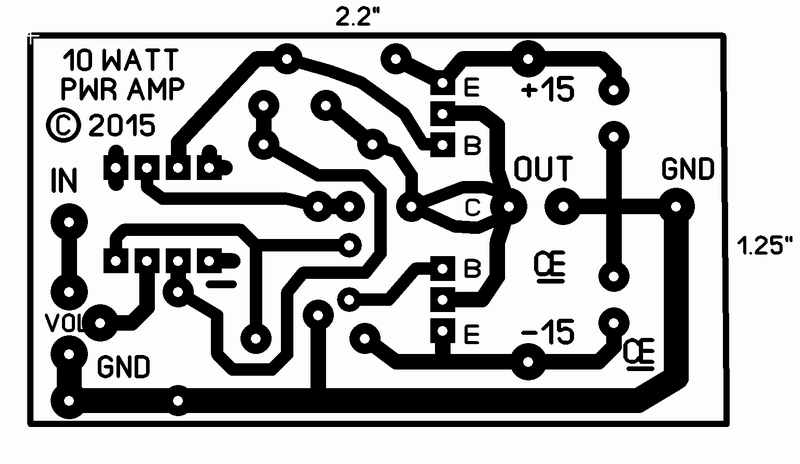 Parts Overlay for the TL081 PCB.